We love Indian chicken curry and this dish made it easily into the top 10 of our recent culinary excursions. Indian curries are always a feast for the taste buds. 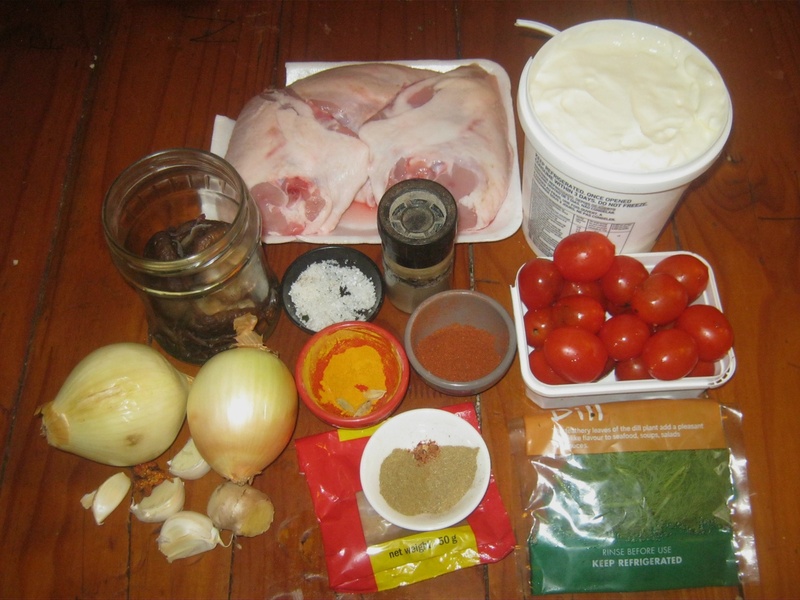 The use of good and healthy ingredients including a variety of well balanced exotic spices that all harmonize beautifully together makes me generally excited to enjoy the dish once it has been lovingly prepared. There are many dishes in the Indian cuisine that are using chicken as one of the main ingredients. 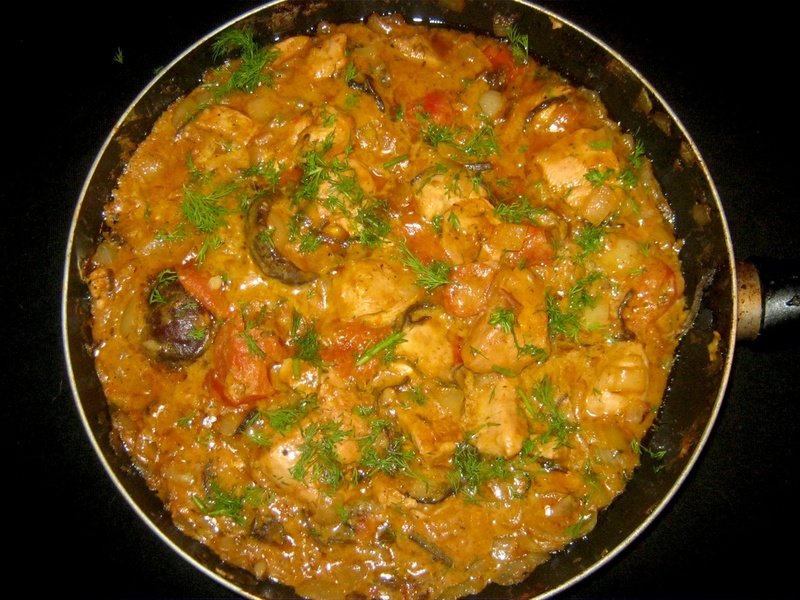 This chicken curry is in some ways special as it incorporates mushrooms which have gained more popularity in India in recent times. 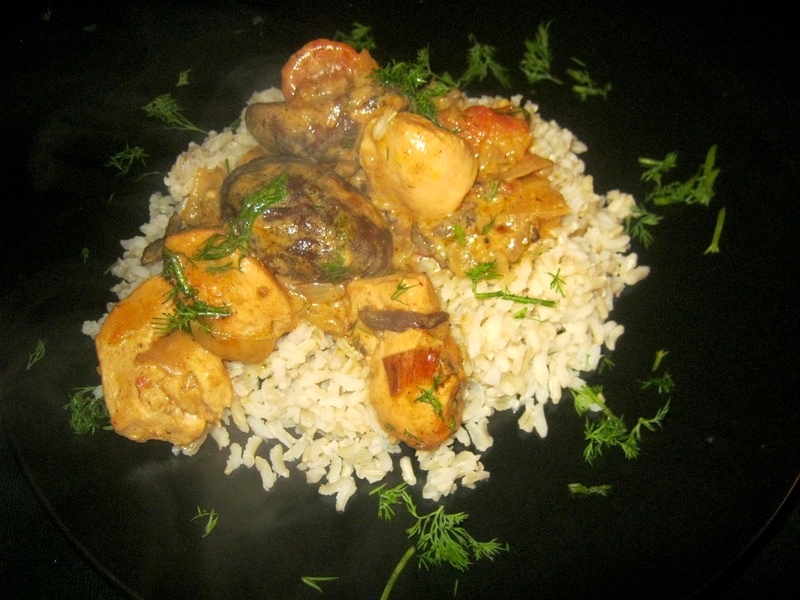 Indian Chicken Curry with Shiitake Mushrooms. Apart from those impressive stats they just complimented and harmonized just so well with the other ingredients in this curry. We all had seconds but left enough to mature over night and enjoy today with an even better taste. Sprinkle withe the remaining dill and serve hot with a bowl of steamed rice or naan bread.